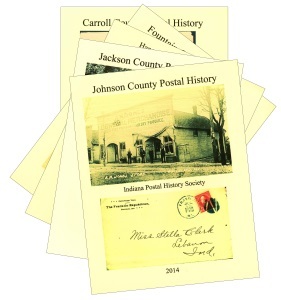 The December and January acquisitions lists posted on this blog each included a number of volumes on Indiana county postal history. There was not sufficient space in the first quarter 2017 Philatelic Literature Review to list them all individually, so following is a list of the 88 volumes acquired by the library in December 2016. The library already had 2 volumes, so we now have 90 volumes covering all but 2 (Ripley and Vigo) of Indiana’s 92 counties.